Xanax is a type of benzodiazepine drug commonly prescribed for a variety of conditions such as anxiety and convulsions, but it can also be abused. Xanax, known generically as alprazolam, is a dangerous drug and must be taken under the care of a licensed doctor. Over 30 percent of people who overdose are taking benzodiazepines with opioids, according to the National Institutes on Drug Abuse. If you or your loved one is addicted to Xanax, it is critical to get help in a medically controlled environment. Our team at FHE Health is here to help you to achieve these goals. We encourage you to contact us today to learn more about our substance use disorder treatment. Xanax has been an important and valuable drug to those who need it. The drug is one of the most commonly prescribed drugs in the country, according to the U.S. Drug Enforcement Administration. Drugs in this class, which include Ativan and Klonopin, are commonly used for their ability to reduce anxiety. They also have a sedative-like effect. This type of drug is often prescribed to those who have numerous phobias, panic disorder or generalized anxiety disorder as it works very well to improve these symptoms. If you are currently taking this drug, don’t stop using it suddenly. Benzodiazepines like Xanax can create dependencies in the body, which can make them dangerous to simply stop. It’s important to speak to your doctor about any conditions or symptoms you have. One key thing to know about Xanax as compared to other benzos is that it works very quickly, making it one of the most sought-after by those abusing drugs because of the fast improvement it can offer. Most often, the desired impact of the drug occurs within the first hour. Like most drugs, Xanax’s effect depends on the individual and the way his or her brain and body react to it. In most cases, Xanax benefits those who have restlessness or feelings of unease not controlled by other methods by providing relief right away. However, the negative effects of Xanax can also manifest quickly. Within a short amount of time, it is not uncommon for users to experience difficulty with concentration. Some people may have slurred speech or be unable to think clearly. Others may be unable to remember things happening. They can also create mood disorders in some people, leading to mood swings within a short amount of time. Many who take Xanax also experience abnormal fatigue. Over time, the effects of Xanax can worsen. It’s possible for a person’s body to become accustomed to the drug so that they need to take more of it to get the same desired effect. However, Xanax’s negative effects can also become more dramatic if the drug is overused, leading in some cases to panic and confusion. What Are Common Side Effects of Xanax? If any of these side effects occurs, contact your doctor to learn more about taking the medication. Can a Person Overdose on Xanax? It’s possible to overdose on Xanax with any sufficiently large dose. This presents a threat to addicts taking a significant amount of the drug to obtain the desired effect. In all cases, overdosing is life-threatening and requires immediate medical attention. Can Xanax Be Bad for You in the Long Term? Trying to stop using Xanax on your own, without the aid of a doctor or detox center, can cause painful withdrawal symptoms. Unfortunately, abusing Xanax for a long period of time may cause impairments that don’t improve after detox. The damage to a person’s brain can be long-lasting. When Does Xanax Abuse Occur? Xanax abuse can occur any time a person uses the medication outside of what the doctor has prescribed. In many cases, doctors must monitor the use of this drug carefully because the body can build up a tolerance to it. If this occurs too quickly, addiction may result. The body then requires an increased amount or an increased frequency of the drug to obtain the same result. A chemical dependency occurs in some people who use a large amount of the drug for a long period of time. When this occurs, the addict struggles to stop using due to physically painful withdrawal symptoms. Withdrawal symptoms with Xanax can include irritability, physical pain and in some cases the inability to focus. In some situations, a person can suffer respiratory failure as well as complications that lead to life-threatening conditions. In other words, withdrawal itself can be a life-threatening situation. For this reason, a person who is using or abusing Xanax should work closely with their doctor to stop taking it. A person addicted to Xanax needs to be in a medical detox program to ensure their life is protected throughout the process. This is not something they can do on their own. Is Recovery from Xanax Addiction Possible? Many people with Xanax addiction can obtain care in the proper setting. As with any type of substance use disorder, it’s critical that they go to a specialized treatment center that provides medically monitored detoxification with on-site medical professionals to ensure they remain safe throughout the process. From here, they may be able to enter a residential treatment program. Some people may qualify for an intensive outpatient treatment program, depending on their condition. Both of these programs are available to you at FHE Health. We provide customized care that monitors individual health and mental health needs. In addition, they learn how to overcome the side effects and long-term effects of using Xanax. 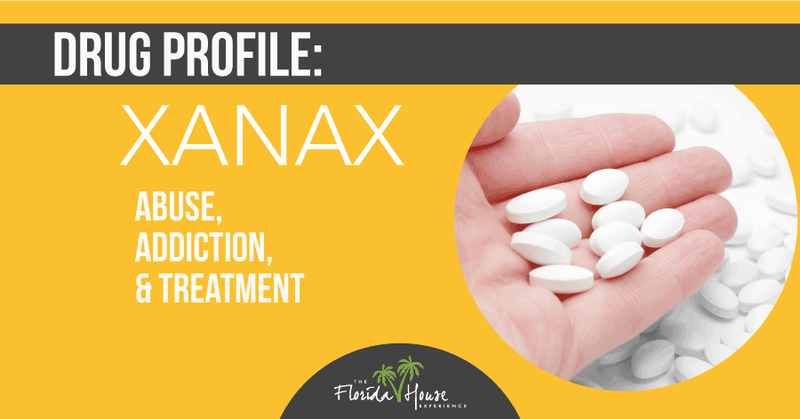 Those suffering from an addiction to Xanax can receive the help they need through FHE Health. Contact our team directly to learn more about our programs to help with the treatment and recovery from your substance use disorder. We encourage you to seek out care right away, especially if you have a loved one suffering from Xanax addiction.